What Will Become of Robert Johnson's Historic Recording Site Downtown? Among the buildings on the city's list of 36 buildings to be addressed this afternoon is one of the city's most historic addresses: 508 Park Avenue, where, in June 1937, Robert Johnson, the subject of a new Vanity Fair story, recorded 13 of his immortal blues songs, among them "Hellhound on My Trail" and "Traveling Riverside Blues." 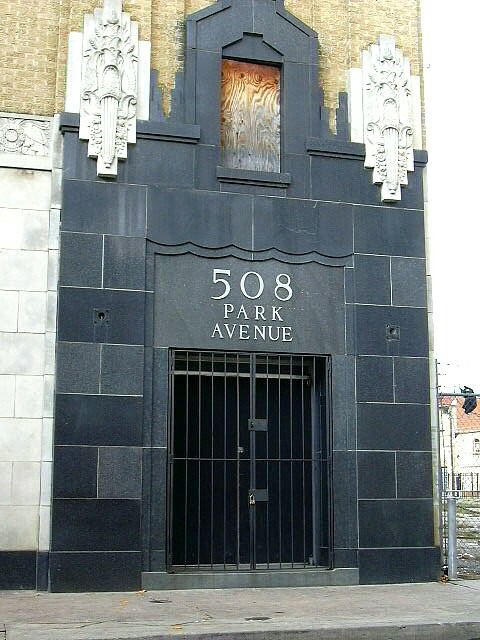 Coincidentally, the site Delta Blues today asks: "Should 508 Park Ave be made into a historic monument?" while lamenting the fact that, for years, it's sat vacant and alone, save for the nearby homeless who stand and sit out front while waiting for The Stewpot next door to open. For exactly 50 years, the building's been owned by Glazer's Distributors, which has been trying to sell it for years. Pat O'Shea, who's been with Glazer's since it bought 508 Park, tells Unfair Park that Realtor Candace Rubin has shown the building "150 times, and I've shown it 75 times." Alas, no sale -- though it almost went, along with the rest of the block, to Sammons Enterprises, before it backed out. O'Shea and Rubin say the proximity to The Stewpot has all but killed any prospects of selling the site. So it's slowly falling apart -- which is why, two months ago, the city got a warrant to search the building. "It was crazy," says O'Shea. "They swore before a judge they made every effort to contact us, and they hadn’t. They said they sent a certified letter, and they most certainly did not. Then they called the office a day later to say they had a search warrant and that they could kick down the door if they had to. So I went down to let them in. And we’re very much in compliance." O'Shea says Glazer's has spent $6,000 in recent months to fulfill code compliance's requests for, among other things, fire extinguishers and other repairs, despite the building being completely empty. And he indeed aware of its historic significance: "There is a small part of the building we never refinished," he says. "We left it as it was, and two movies were made there." Rubin says it's been "impossible" to sell the building because it's in a part of downtown with a historic overlay, meaning an owner "shall not alter the Property, or any portion of the exterior of a structure on the Property, or place, construct, maintain, expand, demolish, or remove any structure on the Property without first obtaining a certificate of appropriateness or certificate for demolition or removal in accordance with the Dallas Development Code, as amended, and this ordinance." Which, far as Rubin's concerned, is a "hindrance," since, as she puts it, "the rights of the owner go to hell." So the city created this problem, far as she's concerned, and today, Mayor Leppert's going to announce how the city's going to fix it -- perhaps, as he hinted to Unfair Park two weeks ago, by demanding the owners of these 36 properties either sell, develop or tear down, which the Glazers would have done years ago, Rubin says, if they had been allowed.